The applications are invited from the candidates for Bestway Cement Jobs 2018-19 apprenticeship trainee engineer program. The candidates including trainee engineer, DAE apprentice, FSc apprentice & matric students can apply for the opportunity as it is one of the largest and popular cement industry. 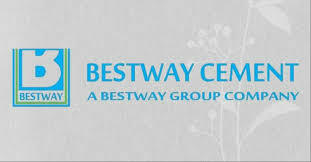 Bestway cement limited is the largest cement manufacturer of Pakistan and it is inviting the fresh graduate engineers, DAEs and matriculates for the cement plants, which are located at Kallar Kahar, Chakwal, Hattar and Farooqia. The best training opportunities will be started for Bestway cement career development, which will be provided to selected candidates. The candidates will find the detailed information with the official advertisement regarding Bestway Cement Jobs 2018-19 Apprenticeship trainee engineer program. 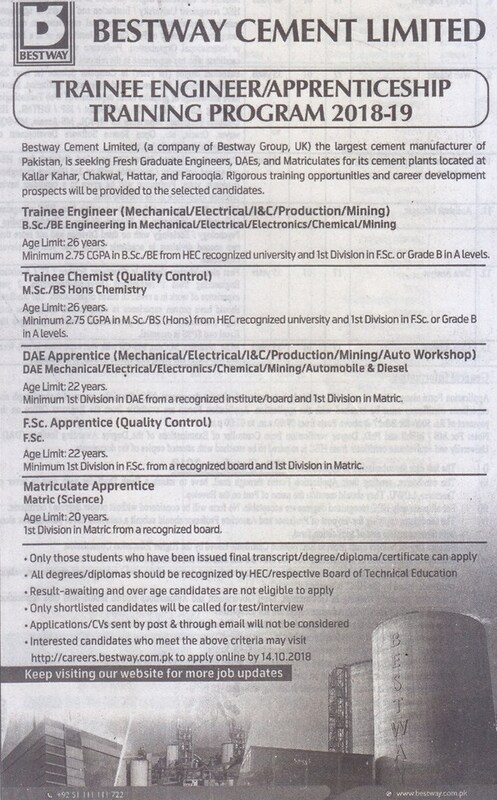 The eligibility criteria for different posts like trainee engineer, FSc apprentice, DAE apprentice and matric. It is excellent opportunity for trainee engineer jobs in the Bestway cement. Apprenticeship Locations: Kallar Kahar, Chakwal, Hattar, and Farooqia. Mechanical, Electrical, I&C, Production, Mining, Auto Workshop, Automobile & Diesel, Electronics, Chemical, DAE Mechanical, Quality Control. Minimum 2.75 CGPA in MSc / BSc (Hons) from HEC Recognized University and Ist Division in FSc or Grade B in A Levels. The candidates will fill the online application forms for required post and the applications other than online will not be considered. The candidates need to read the official advertisement below and link for online apply. The last date to apply for Bestway Cement Jobs 2018-19 Apprenticeship Trainee Engineer program is 14 October 2018.